E45 has been a firm favourite and household staple for some time – especially as my boyfriend suffers with eczema and uses the products to nourish, hydrate and help soothe his often dry and itchy skin. A fundamental part of our routine is the original E45 Cream, a clinically proven emollient moisturiser suitable for dry and sensitive skin. (Emollients work to create a protective layer which helps to keep moisture within the skin, restore the skin barrier and protect it from irritants and allergens.) Available in a variety of sizes, this lightweight and effective cream is suitable for the whole family. Furthermore, the Emollient Washes & Cleansers are a great alternative to heavily fragranced shower gels as they can help to cleanse the skin without stripping the surface of essential moisture; they’re soap free, non-foaming and perfect for sensitive skin types. the skin on your hands can ‘regenerate’ and repair while you sleep. It’s one of my favourite launches of 2015 for a reason! 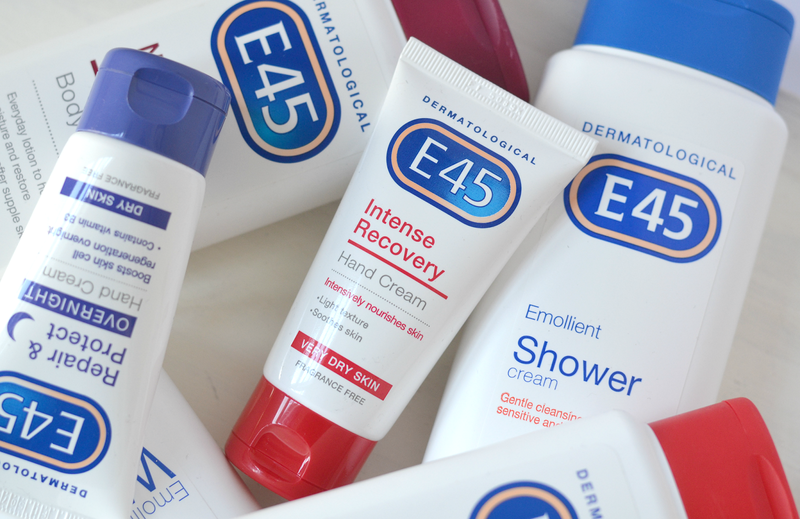 Will you be popping by Boots to pick yourself up a stash of E45 ahead of the colder months? 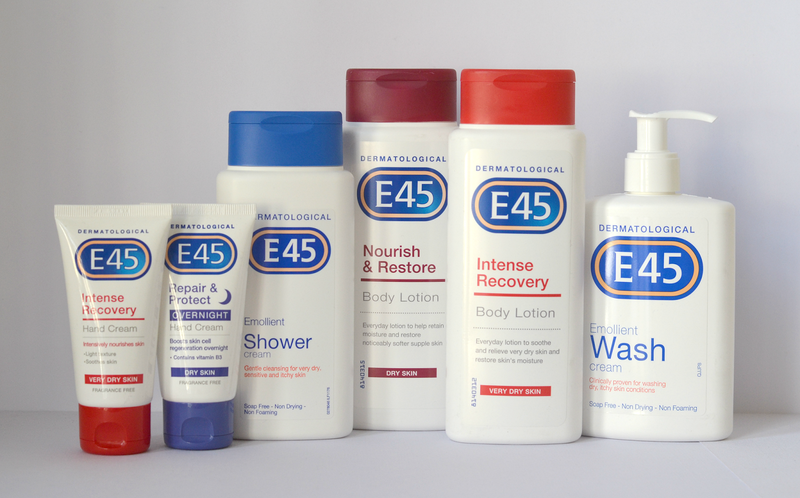 All the E45 products featured are available in Boots stores nationwide, with prices starting from £3.84. Find out more on their website: www.e45.co.uk. E45 is a medicine for dry skin. Always read the label. This is a sponsored post on behalf of E45. However all opinions are my own – and E45 is always a firm staple within our household! Well, well, well, this is something worth checking out. Interesting and impressive qualities.